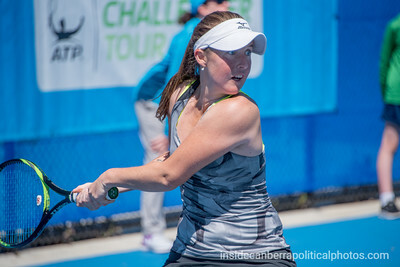 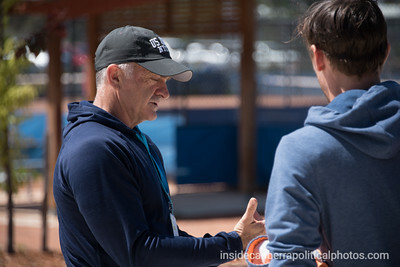 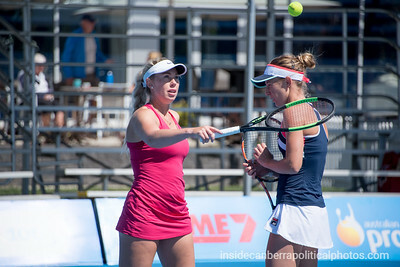 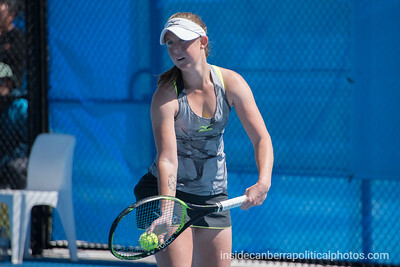 Tammi Patterson and Olivia Rogowska during their doubles match against Lizette Cabrera and Olivia Tjandramulia at the Apis Canberra International tennis event. 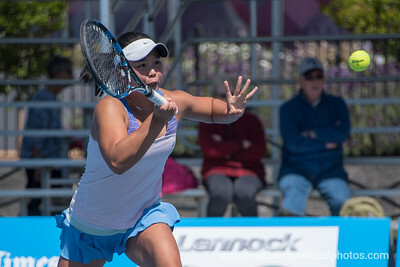 Lizette Cabrera prepares to serve in the doubles match against Tammi Patterson and Olivia Rogowska. 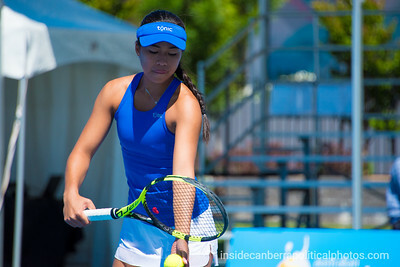 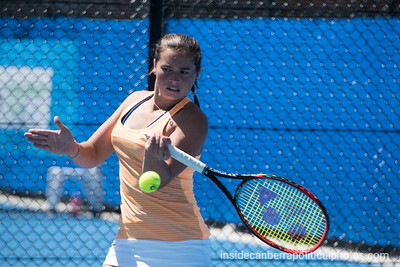 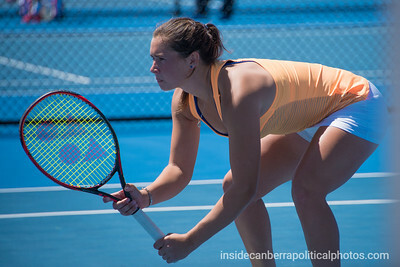 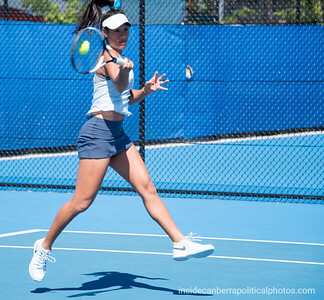 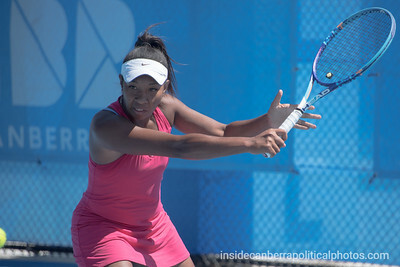 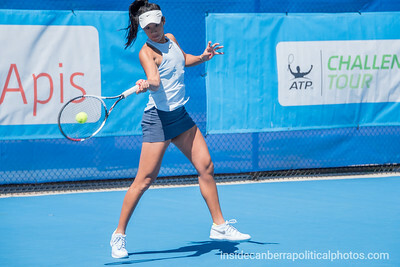 Australia's Storm Sanders serving to Papua New Guinea's Abigail Tere-Apisah in round one of the Canberra International tennis event. 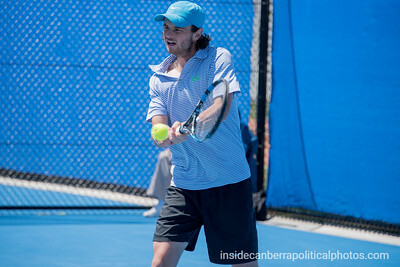 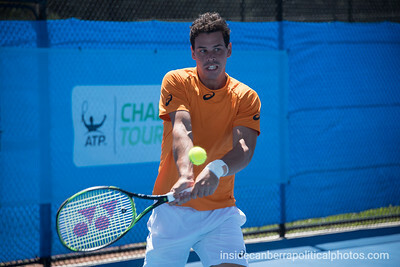 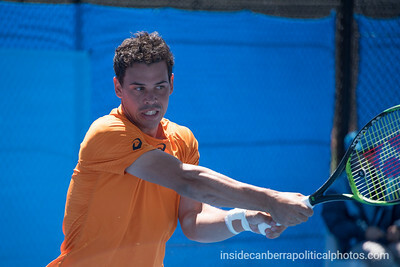 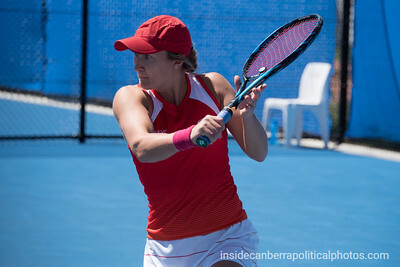 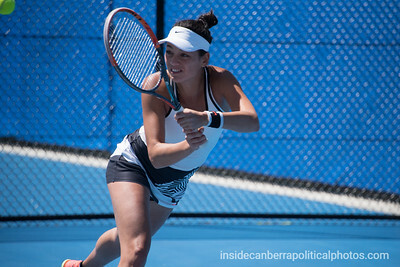 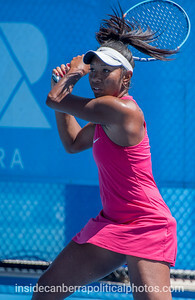 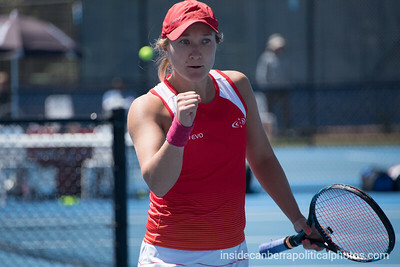 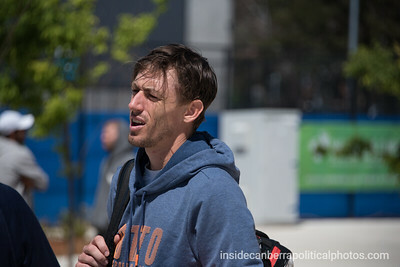 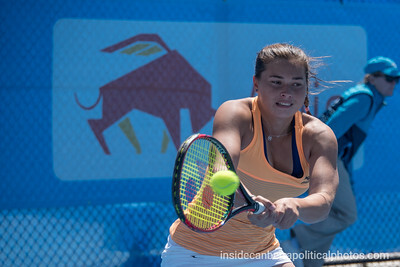 Australia's Storm Sanders hitting a backhand against Papua New Guinea's Abigail Tere-Apisah in round one of the Canberra International tennis event. 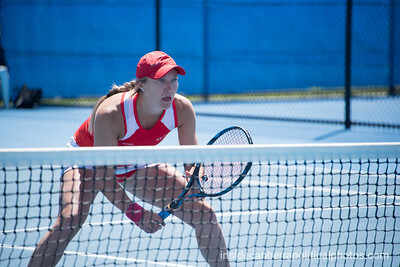 Genevieve Lorbergs in her doubles match with Isabelle Wallace where they defeated Kimberly Birrell and Alize Lim 6-3, 6-4. 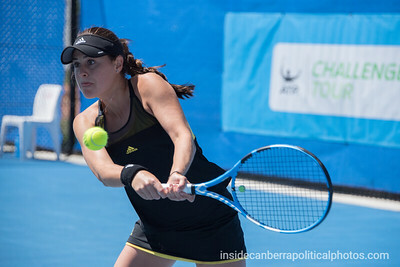 Kimberly Birrell in her doubles match with Alize Lim against Isabelle Wallace and Genevieve Lorbergs where they lost 6-3, 6-4. 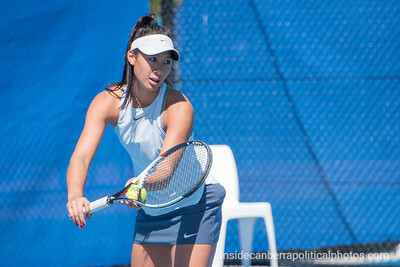 Isabelle Wallace in her doubles match with Genevieve Lorbergs where they defeated Kimberly Birrell and Alize Lim 6-3, 6-4. 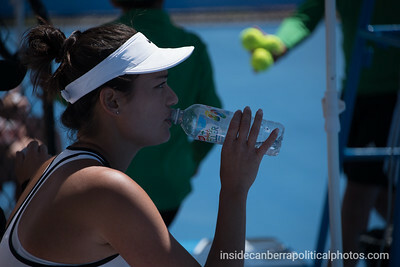 Genevieve Lorbergs reacts to winning a point in her doubles match with Isabelle Wallace where they defeated Kimberly Birrell and Alize Lim 6-3, 6-4. 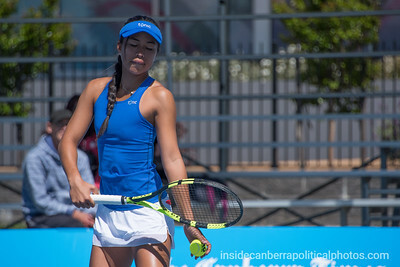 Alize Lim in her doubles match with Kimberly Birrell against Isabelle Wallace and Genevieve Lorbergs where they lost 6-3, 6-4. 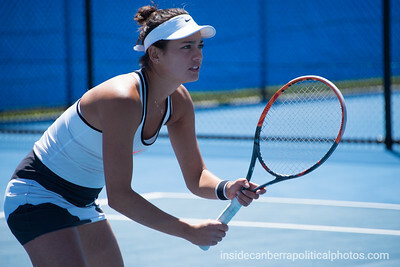 Alize Lim during her doubles match with Kimberly Birrell against Isabelle Wallace and Genevieve Lorbergs where they lost 6-3, 6-4. 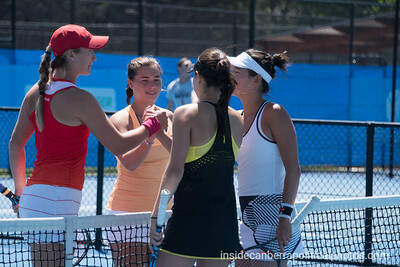 Alize Lim, Kimberly Birrell shake hands with Isabelle Wallace and Genevieve Lorbergs.